“Every Little Thing’s Gonna Be Alright”. 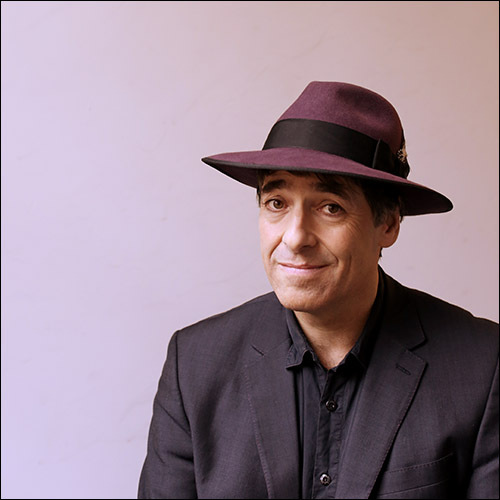 A chilly October evening in Goring was the setting for Gap Comedy’s third event this year, with Mark Steel drawing a 200 strong crowd to the village hall for what proved to be the most raucous and lively set to date. A 30-year veteran of the stand-up circuit, Steel’s roving and energetic set covered politics, divorce, technology and more than a few well drawn (if predictable) lamentations on the state of modern society. His affable and hapless stage persona belied a wide understanding of current affairs, historical perspectives and real affection for the country he’s been touring in an accomplished career covering radio, journalism and television alongside his stand-up. A few amiable jibes at Didcot and neighbours Streatley drew riotous laughter and applause from the audience, while his entry/ exit music selection exhibited an optimistic theme. For all his keening on the complications of contemporary existence, Steel gave the air of a warm, kind hearted optimist enjoying his time on stage as much as the audience were.